Blurb: Quiet Tommy Quaid is one of Lennox’s few friends in Glasgow. Lennox appreciates Tommy’s open, straightforward personality – even if he is a master thief. When Tommy is flung to his death from a factory roof in front of Lennox’s eyes, Lennox discovers just how wrong he was about Tommy’s quiet life. It seems Tommy knew a secret, and it cost him his life. But for once, Quiet Tommy didn’t go quietly. His secret concerned people above the law – people in some cases who are the law – and so now, from beyond the grave, he leaves a trail for Lennox to follow to ensure justice is done. For once, Lennox is on the side of the angels. But he is an avenging angel, and in brutal Glasgow, justice has to get bloody. 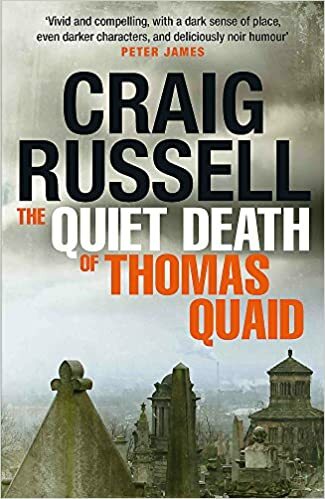 After a four-year break, this is the fifth book in Craig Russell’s 1950s Glasgow-set noir series featuring Canadian private detective Lennox (he has no first name). The book is a dark tale of sordid crimes and cover-ups. The McGuffin is a stolen ledger containing photographs of several prominent citizens involved in unspeakable acts. Lennox becomes involved through his association with the murdered thief who obtained these items. 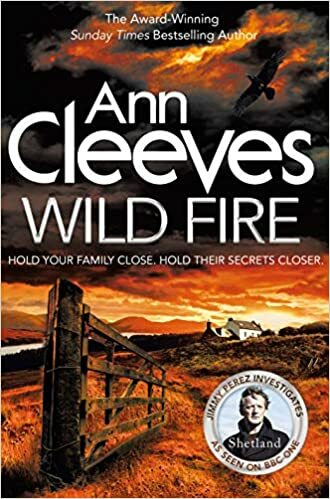 The plot involves various factions with interest in retrieving them and Lennox has to draw on his instincts, honed during WWII, to get to the bottom of the mystery and expose those who are responsible. Russell is an engaging writer whose style owes more than a debt to Raymond Chandler in his prose style, but whose hero has perhaps more in common with Mickey Spillane’s Mike Hammer in his approach to detection. There is much wit amidst the sordidness and Russell delves deeply into Lennox’s psyche, highlighting the emotional scars he carries over from the war and their impact on his actions – despite his attempts to suppress them. It is a confident mystery with a satisfying, if a little rushed, finale, that wraps up the many strands of the plot. The spirit of the classic pulp novels is alive and well in Craig Russell’s writing. Distributor: Paramount Pictures; Production Company: Cinehaus / Paramount Pictures / Scott Rudin Productions; Release Date: 6 March 1998 (USA), 4 December 1998 (UK); Filming Dates: 11 November 1996 – March 1997; Running Time: 95m; Colour: Colour; Sound Mix: Dolby Digital; Film Format: 35mm; Film Process: Spherical; Aspect Ratio: 1.85:1; BBFC Cert: 15 – strong language. 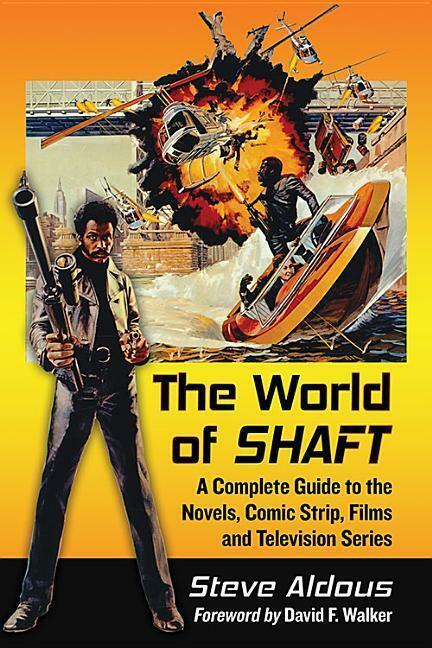 Director: Robert Benton; Writer: Robert Benton, Richard Russo; Executive Producer: Michael Hausman; Producer: Arlene Donovan, Scott Rudin; Associate Producer: Scott Ferguson, David McGiffert; Director of Photography: Piotr Sobocinski; Music Composer: Elmer Bernstein; Film Editor: Carol Littleton; Casting Director: Ilene Starger; Production Designer: David Gropman; Art Director: David J. Bomba; Set Decorator: Beth A. Rubino; Costumes: Joseph G. Aulisi; Make-up: Bron Roylance; Sound: Maurice Schell; Special Effects: Larry Fioritto, Ric San Nicholas. Cast: Paul Newman (Harry Ross), Susan Sarandon (Catherine Ames), Gene Hackman (Jack Ames), Reese Witherspoon (Mel Ames), Stockard Channing (Lt. Verna Hollander), James Garner (Raymond Hope), Giancarlo Esposito (Reuben Escobar), Liev Schreiber (Jeff Willis), Margo Martindale (Gloria Lamar), John Spencer (Capt. Phil Egan), M. Emmet Walsh (Lester Ivar), Peter Gregory (Verna’s Partner), Rene Mujica (Mexican Bartender), Jason Clarke (Young Cop #1), Patrick Malone (Younger Cop), Lewis Arquette (Water Pistol Man), Michael Brockman (Garvey’s Bartender), April Grace (Police Stenographer), Clint Howard (EMS Worker), John Cappon (Paramedic), Neil Mather (Young Cop #2), Ron Sanchez (Crime Scene Detective), Jack Wallace (Interrogation Officer), Jeff Joy (Carl), Jonathan Scarfe (Cop). Uncredited: Stephanie Beaton (Beth Koski), Jennifer Tolkachev (Sunbather), Ron von Gober (Man Walking Down the Street with Boy). Synopsis: Private eye Harry Ross lives in the garage of his movie-star, cancer-ridden friend Jack and is attracted to Jack’s wife Catherine. After elderly Lester Ivar shoots at Harry and then dies, Harry learns that Ivar was investigating the disappearance of Catherine’s first husband. Comment: Modern neo-film noir tries too hard to create the atmosphere of the 1940s in 1990s LA. The result feels a little incongruous. The strength of the story is with its cast. Newman is as good as ever as the private eye who is torn between his loyalties and doing the right thing. Hackman, Garner and Sarandon all deliver quality performances. Martindale also scores as a chancer with an incompetent accomplice. Bernstein delivers a moody but derivative score. Benton’s script tries hard to be convoluted, but underneath is a straight-forward story of blackmail and murder. The character interaction keeps the plot interesting, but the ultimate solution to the mystery is a little underwhelming. Notes: The Ames residence is actually the former Cedric Gibbons-Delores Del Rio home, and a never-completed Frank Lloyd Wright house near Malibu served as the Ames’ ranch house. The fourth Cormoran Strike novel is a long, twisting mystery with a sophisticated plot and a colourful cast of eccentric characters. Rowling has a tendency to increase the page count in her series novels as they progress. There is certainly enough complexity in this mystery to warrant a longer novel, but at 650 pages you have to ask whether this could have been pruned back. The domestic stuff, whilst helping flesh out the central characters, does often get in the way of the developing mystery. Rowling is seemingly running story arcs through these novels as a hook for the reader to return for the next instalment. The book initially progresses slowly through a blackmail plot against a government minister during the run-up to the 2012 Olympics. Robin goes undercover to tease out information against the perpetrators. At the half-way point, the story takes a sharp turn and the plot thickens into a murder mystery. The pace quickens from here as the detective duo gradually unravel the mystery and the finale is a tense play-off. Whilst the plot here is probably the most labyrinthine of Rowling’s novels at the same time it is perhaps the least involving. Most of the characters come across as either spoilt, rich brats or anarchists with a chip on their shoulder. The reader, therefore, would be happy to see any of them unmasked as the chief villain. The only sympathetic major character outside of the two detectives is the mentally disturbed Billy. The resolution of his story of sinister childhood memory is much more satisfactory. There is also a tendency to gloss over of the police involvement in the case. Their seeming happiness for Strike to do their job for them does not ring true and there is an absence of the conflict evident in the earlier books. 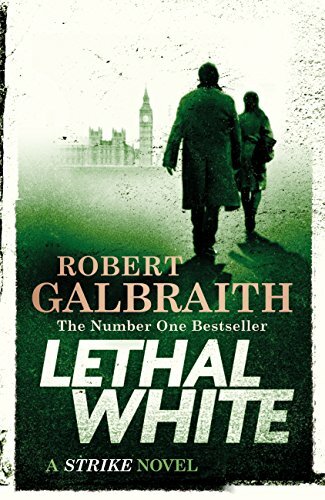 Rowling has created a likeable detective team with this series and I look forward to their next outing but hope Rowling’s editors have more of a say in its pacing. Blurb: Everyone has something to hide… A missing private investigator is found, locked in a car hidden deep in the woods. Worse still – both for his family and the police – is that his body was in an area that had already been searched. Everyone has secrets… Detective Inspector Siobhan Clarke is part of a new inquiry, combing through the mistakes of the original case. There were always suspicions over how the investigation was handled and now – after a decade without answers – it’s time for the truth. Nobody is innocent… Every officer involved must be questioned, and it seems everyone on the case has something to hide, and everything to lose. But there is one man who knows where the trail may lead – and that it could be the end of him: John Rebus. 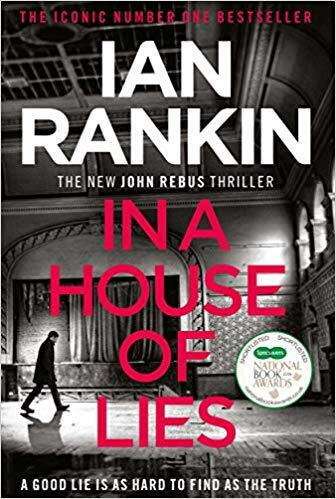 The 22nd book in Ian Rankin’s John Rebus series sees the retired detective feeling his age as his deteriorating health leads him to quit smoking and limit his drinking. Bored, he grasps at the opportunity to help his former partner, DI Siobhan Clarke, by re-investigating an old case. Meanwhile, Clarke herself is deeply embroiled in a murder investigation whilst fighting off an internal enquiry into her conduct. Rankin steers away from any major political and social issues and concentrates on the mechanics of the two cases. The murder mystery involves a high-ranking businessman and a film producer as well as two corrupt cops, giving the novel a few narrative strands to weave together. Of course, there is a link between these threads and Rebus again locks horns with his nemesis Big “Ger” Cafferty who is tied to both. Nothing too surprising here, just another well-written crime mystery by a writer who knows his craft. It’s difficult to see where Rankin will take his lead character as he ages in retirement and struggles with ill-health. This edition: published by Penguin Books, 1979, 432pp. 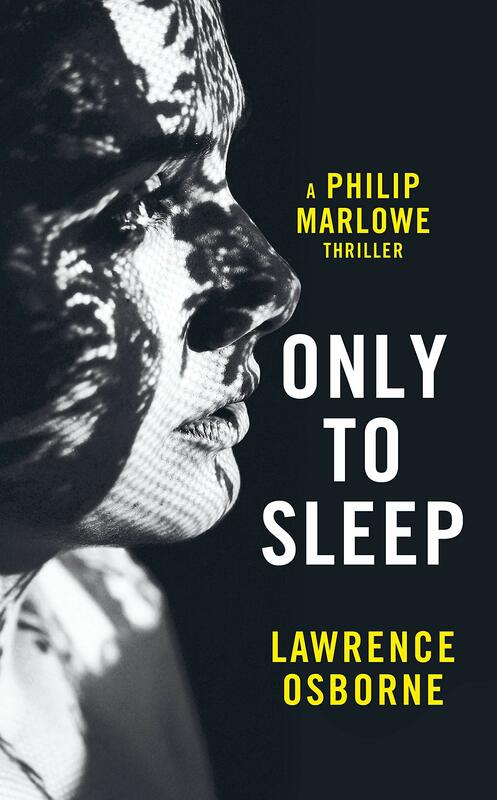 Blurb: None of these eight stories features Philip Marlowe. He came later. But every one of them already has the deadly Chandler elan that made Philip Marlowe the coolest, toughest private eye ever. These stories were written whilst Raymond Chandler was honing his craft in the pulp magazines of the 1930s. Seven of the eight were published before his fist novel, The Big Sleep (1939). The detective featured in each is a prototype for Philip Marlowe. Chandler’s detective was always used as an observer and a tool to move the plot, rather than a fully fledged character in his own right. As the books progressed Chandler finessed the Marlowe character to make him more rounded resulting in the masterpiece that was The Long Goodbye (1953). Whilst most of Chandler’s short stories were re-published (in collections such as The Simple Art of Murder and Trouble is My Business, these stories were held back until 1964, after Chandler’s death, as the plots had been re-used by Chandler in some of his novels. The first story, Killer in the Rain (Black Mask, January 1935) **** is recognisable as the blackmail plot element used in The Big Sleep. Here the troubled young Carmen Dravec would become Carmen Sternwood and gain a sister. Dravec is a doting surrogate father and a heavy rather than the proud General Sternwood. Steiner would become Geiger, Joe Marty would become Joe Brody and Guy Slade would become Eddie Mars. The plot would be expanded for the novel, but many of the elements are here making the story a fascinating read. It lacks the rhythm of prose Chandler would bring to his novels, but the bones of his later style are evident here. The Man Who Liked Dogs (Black Mask, March 1936) ***½ is as hard-boiled and violent as Chandler gets. The story is a straight forward search for a missing woman instigated by in centring around a missing police dog. The two are tied in with a notorious gangster and corrupt police force. There are scenes in a bogus medical institution and a finale on a gambling boat with a bloody shoot-out resolution. Scenes would be re-used in Chandler’s Farewell, My Lovely and themes in The Little Sister. The story has lots of twists and action, but it again lacks the poetic prose style of Chandler’s later work. 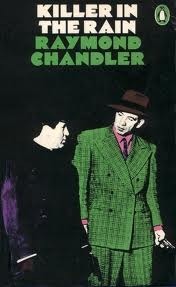 Chandler’s detective is named here as Carmady, one of several name try-outs through his short prose. The Curtain (Black Mask, September 1936) **** became the Rusty Regan (here O’Mara) part of the plot for The Big Sleep. It features recognisable version of General Sternwood and his daughter Vivian. A psychotic 10-year old son for Vivian in this story would be replaced by a sister, Carmen, in the subsequent novel – fusing the character of the son with that of Carmen Dravec in Killer in the Rain. Additionally its opening, concerning a drunken acquaintance of Carmady, was to form the central relationship to his best novel, The Long Goodbye. This is an assured story, well-written and containing more obvious examples of Chandler’s prose style. An action-packed finale acted as a rehearsal for that in The Big Sleep. Try the Girl (Black Mask, January 1937) **** is a fast-paced and well-written warm-up for the main plot of Farewell, My Lovely with an giant ex-con seeking his lost girl, whilst Mandarin’s Jade (Dime Detective Magazine, November 1937) ***½ does the same for its sub-plot of the attempted recovery of a stolen necklace. Both stories again feature John Dalmas. In the novel the two stories would be inter-related, showing how cleverly Chandler cannibalised his own plots. Both show Chandler becoming increasingly confident with his prose style. Bay City Blues (Dime Detective Magazine, November 1937) *** is a little convoluted in its plotting of Dalmas investigating the apparent suicide of a doctor’s wife. Elements form the story were used in his novel Lady in the Lake. The next story would be the key basis for that novel and share the same title. Here, however, The Lady in the Lake (Dime Detective Magazine, January 1939) ***½ overly telegraphs the solution to its mystery plot of a man looking to track down his missing and unfaithful wife, but is otherwise a great vehicle for Chandler’s gift with dialogue. Chandler would rework elements of the plot, and characters (here given different names) as well as using the same mountain lake location for No Crime in the Mountains (Detective Story Magazine, September 1941) *** in which he uses the name of John Evans for his LA based PI, but the plot is less successfully developed than in the previous story. Taken as a whole these stories are fascinating as embryonic versions of what were to become classic and highly influential crime mystery novels. Blurb: In the 1960s, the infamous Bible John terrorised Scotland when he murdered three women, taking three souvenirs. 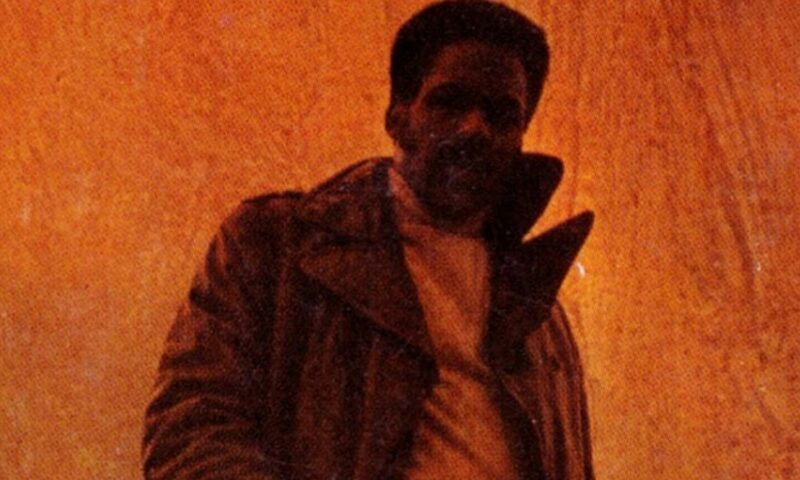 Thirty years later, a copycat is at work, dubbed Johnny Bible. DI John Rebus’s unconventional methods have got him in trouble before – now he’s taken away from the inquiry and sent to investigate the killing of an off-duty oilman. But when his case clashes head-on with the Johnny Bible killings, he finds himself in the glare of a fearful media, whilst under the scrutiny of an internal enquiry. Just one mistake is likely to mean losing his job – and quite possibly his life. 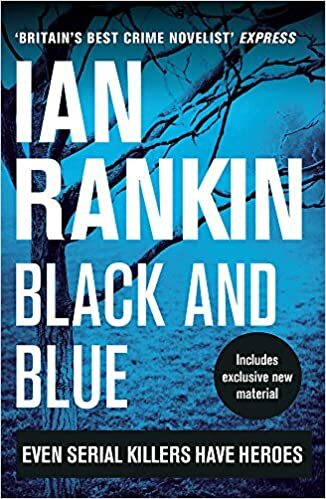 Ian Rankin had written seven Rebus novels before Black and Blue and had become an established name in the crime-writing field, but was seen as more of a B-list writer. This book exploded him into the A-list, where he has stayed ever since. In his introduction to this 2016 edition, Rankin recalls the personal turmoil he was going through at the time of writing. Living in France with a son diagnosed with Angelman Syndrome, the writer and his wife struggled with the bureaucracy of the French medical system. The family would eventually return to Scotland. The impression this left on Rankin fired his need to voice his concerns on a broader template. Also, around the time of writing the book, press interest in the historic Bible John killings had been heightened by new DNA evidence. Rankin had undertaken extensive research into the case and decided to incorporate a real life killer into his fictional story of a copy cat. Other elements incorporated into the story are police and corporate corruption, environmentalists protesting about pollution caused by the oil companies and a drug smuggling involving gangsters from Glasgow and Aberdeen. It was to become Rankin’s most complex and multi-layered book. Rankin explores his protagonist in deep detail – his loyalty, his alcohol dependency, his inner-angst. What emerges is a very three-dimensional portrayal of a flawed man whose sole motivation in life is to see justice done. Saddled with a former colleague, whilst he is being investigated for malpractice in an old case, Rebus is as acerbic and dogged as ever. A loner tethered to a leash, which brings his anxieties to the surface. The book has a broad scope taking Rebus from Edinburgh to Glasgow, Aberdeen, the Shetlands and a North Sea oil rig. The separate plot strands are nicely interwoven revealing some surprising links along the way. Rankin’s research helps bring the locales and the police investigation to life in an enthralling way. Black and Blue is a novel that shows a writer fully maturing and it would set the bar for the remainder of the series.